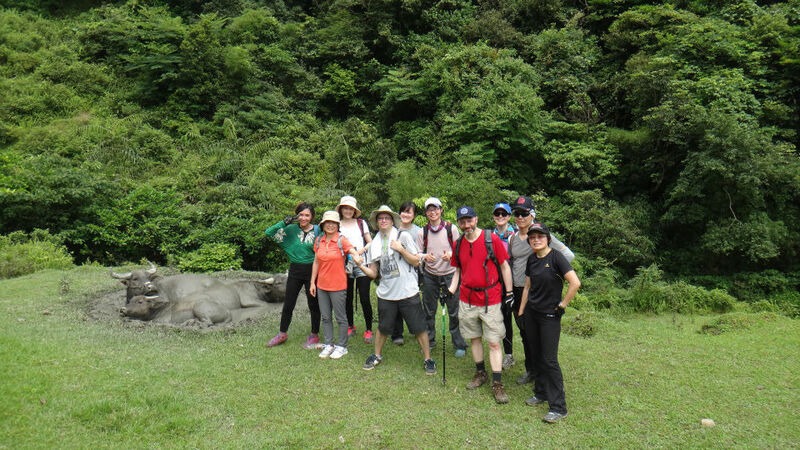 During the recent hike in the mountains of Taiwan, we happened on a farm. The setting was absolutely gorgeous. Being a traditional farm, there were some buffalo that are used to help plow the fields. 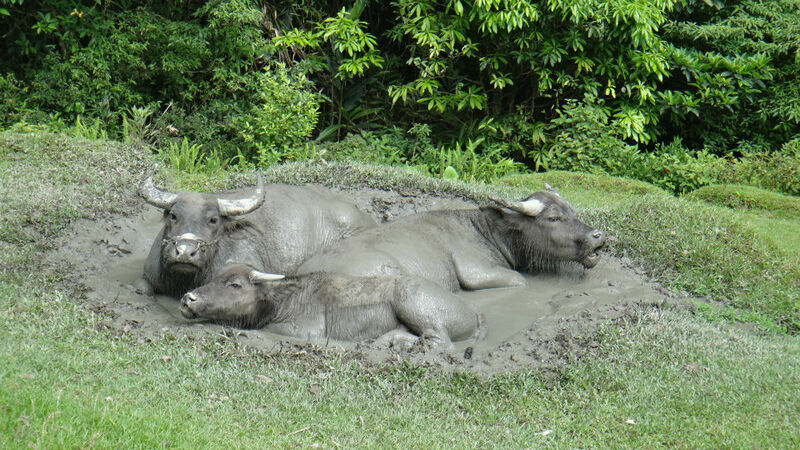 They were relaxing in a mud wallow. 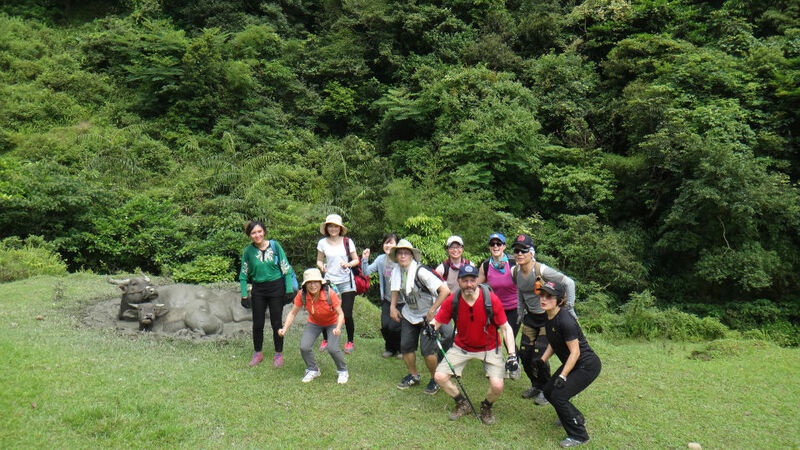 Because we were with Taiwanese people, who love to take their picture with fun things, everyone thought that it would be a good idea to have our picture taken in front of the buffalo. No one asked the buffalo their opinion. The buffalo seem to be getting a little uneasy at this point. We managed to get a good group shot with the buffalo without any drama. The buffalo snorted a little at us, but we figured that everything would be all right. Then someone had the brilliant idea to take a jumping shot. Let’s all jump into the air at the same time, someone suggested. It would be really cool. The sound of ten people with full backpacks all jumping into the air at the same time startled the buffalo. 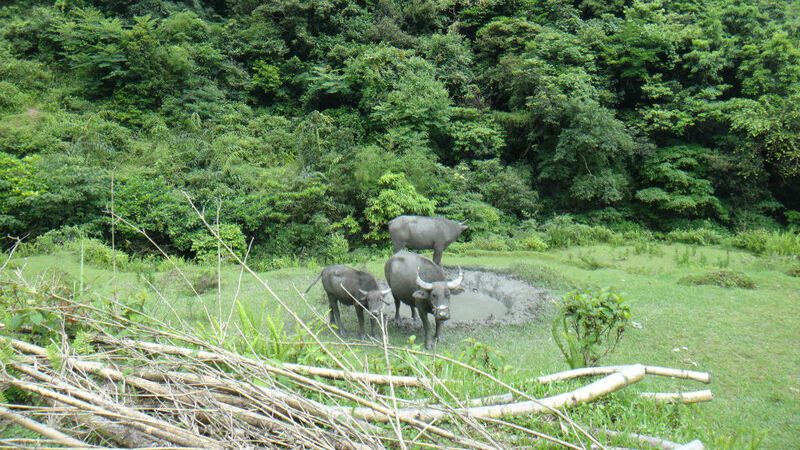 The buffalo were behind us, we couldn’t see them, but we heard the splashing sound of three heavy buffalo jumping out of their mud wallow. All that I could think of was the famous running of the bulls in Pamplona, and how someone always gets skewered in the buttocks. 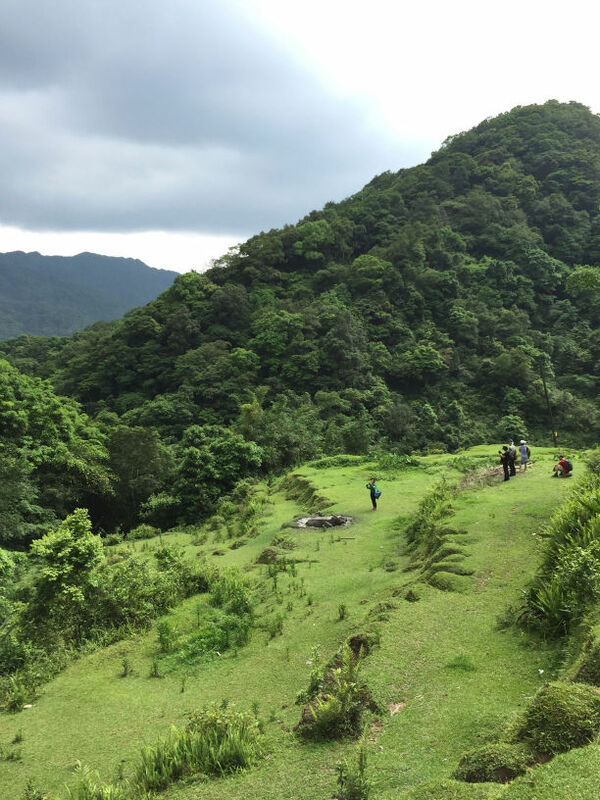 I did not want to get skewed in the buttocks, and apparently neither did any of my hiking companions, because we all screamed like little girls and ran away as fast as we could. See how there are no people anywhere near the buffalo in this shot? 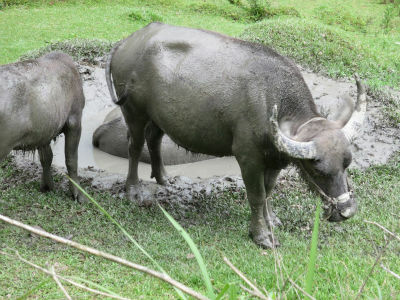 Don’t mess with Taiwanese water buffalo. The farmer showed up a few minutes later, and laughed at us when we told him our story. Then he told us to have a nice day, and went back to work. We all swore never to speak of the incident again.